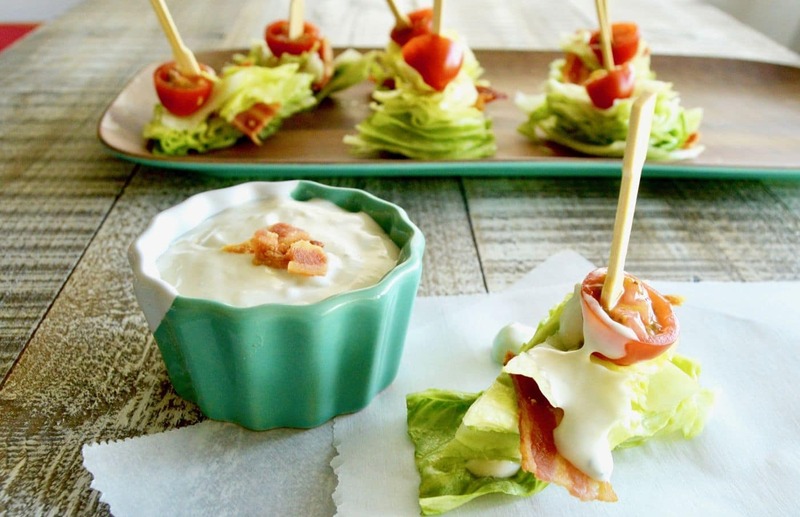 BLT Salad Bites are a simple starter for any party. 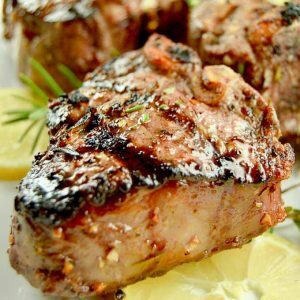 They can be made ahead and just drizzled with homemade Blue Cheese Dressing at the last minute! 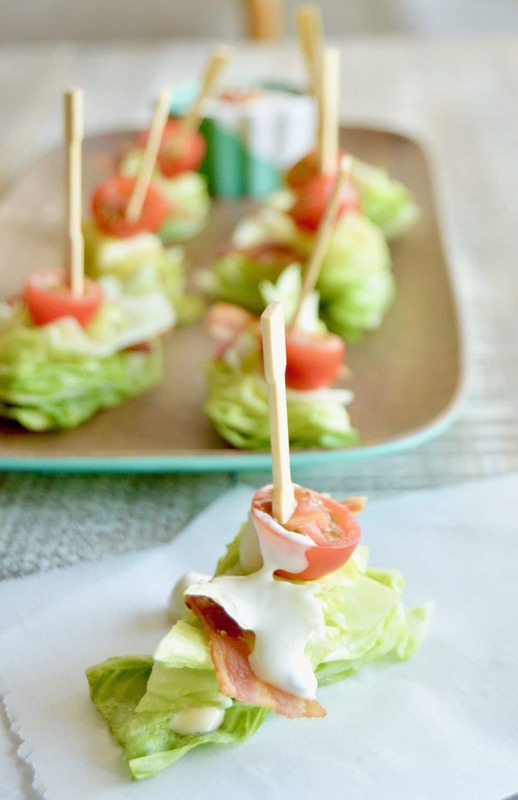 BLT Salad bites are my answer for not having all fried food or heavy carb laden appetizers for a party. 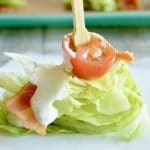 A cold Crisp lettuce wedge with bacon, tomatoes and a drizzle of homemade blue cheese dressing can be put together in 15 minutes. 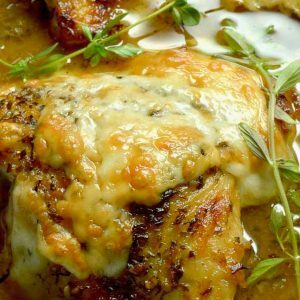 The blue cheese dressing will last about 10 days in your fridge so you can use it on many things. 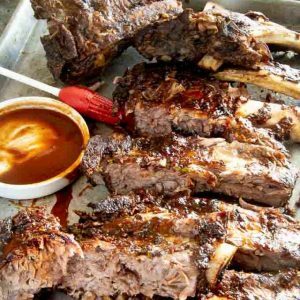 I use it as a dipping sauce for Fried Chicken, as an alternative dressing on my Frise Salad or served on the side for Wings for a tailgaiting party! Cut Iceberg lettuce in half, then cut each 1/2 into 16 small wedges. You will end up with 32 pcs of lettuce. Cook 8 pieces of bacon. Cut each slice into 4 pieces, you will end up with 32 pcs. 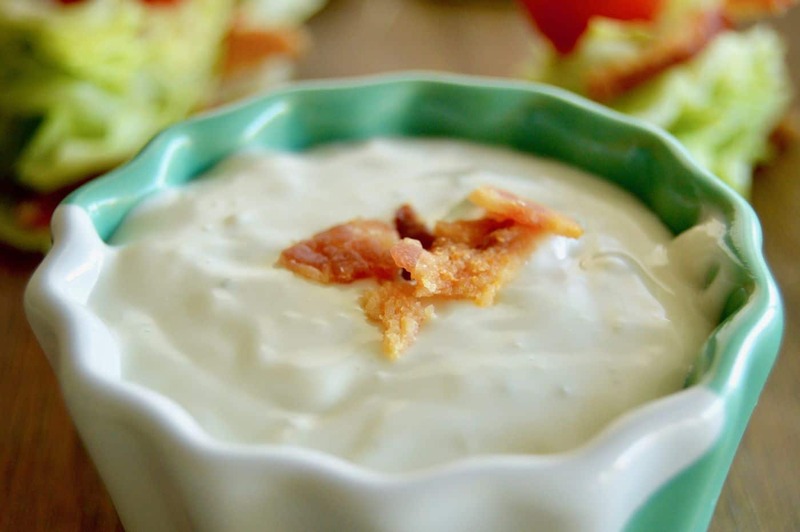 In a large bowl, mix together minced onion, mayo, sour cream and lemon juice. Once combined, add crumbled blue cheese and mix well. Finally add milk if you feel the dressing is too thick to your liking. Salt and pepper to taste. This dressing will keep for 10 days if stored in an airtight container in the fridge. Wow.. I can’t believe how easy that blue cheese dressing was! It was so good. 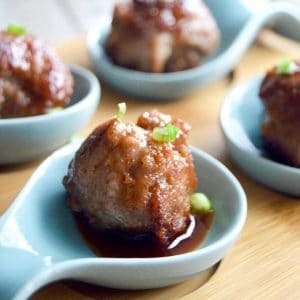 How adorable are these bites?! What a fun first course!